Open up a whole world of new possibilities with a range of online services, all accessible by connecting your Wii U console to the Internet. With this free software, you can instantly watch TV shows and movies streaming from Netflix. Stream thousands of movies & TV series instantly on your Wii U with Amazon Instant Video. 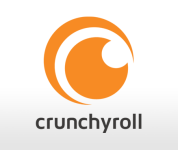 Crunchyroll is the leading global video service for Japanese Anime and Asian Drama with the largest line-up of content, including over 25,000 videos in high definition with professional subtitles. Chat with faraway friends, discover new games, share your game experiences with the world and much more. Connecting your Wii U console to the Internet couldn't be easier, so you can start enjoying the world of online services in no time!